In our Beauty Extremist series, we interview someone with a bona fide beauty addiction to find out what makes them tick and how they got hooked. 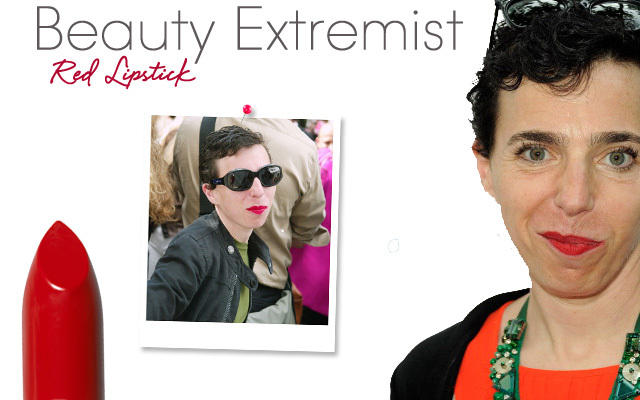 For this installment, we explore writer Rachel Felder's affinity for red lipstick. "I never leave the house without red lipstick. I've been wearing matte red lipstick since I was 16. I love a super-saturated, sort of retro look. I feel undressed without it, and keep tubes just about everywhere. I wear it to the gym (and, um, I typically swim), to walk the dog, to run out and buy the newspaper. 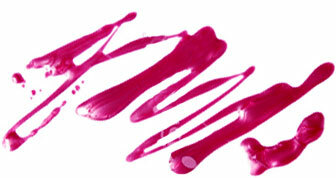 Since not everyone is a fan of lipstick traces, I've become extremely proficient at the art of the air kiss. In my early teens, I alternated between red, orange, hot pink, and fuchsia--all of which contrasted rather fabulously with my hair, which was blue most of the time back then. Since my coloring is essentially the same as Snow White's and my lips are pretty full, my look has always revolved around strong lipstick. One of my British friends says I’m only welcome to stay at her place if I bring my own pillowcases. I can put it on without a mirror, in the dark and in the back of a taxi. On a typical day I line my lips with red liner, put on a thin coat of a lip balm with a flat finish, then slather on a long-last matte blue-red. If I really need my lipstick to be indelible--say, on a long day with no time to reapply--I line my entire lip with lipliner instead of just drawing an outline and skip the lip balm. Even though I wash my face nightly, there are always traces of red on my lips...and also my pillowcases and sheets. I go through 18 tubes of red lipstick a year...unless it's a year with a lot of smooching, and then it can be as many as 21 tubes. Needless to say, I prefer the more expensive years."